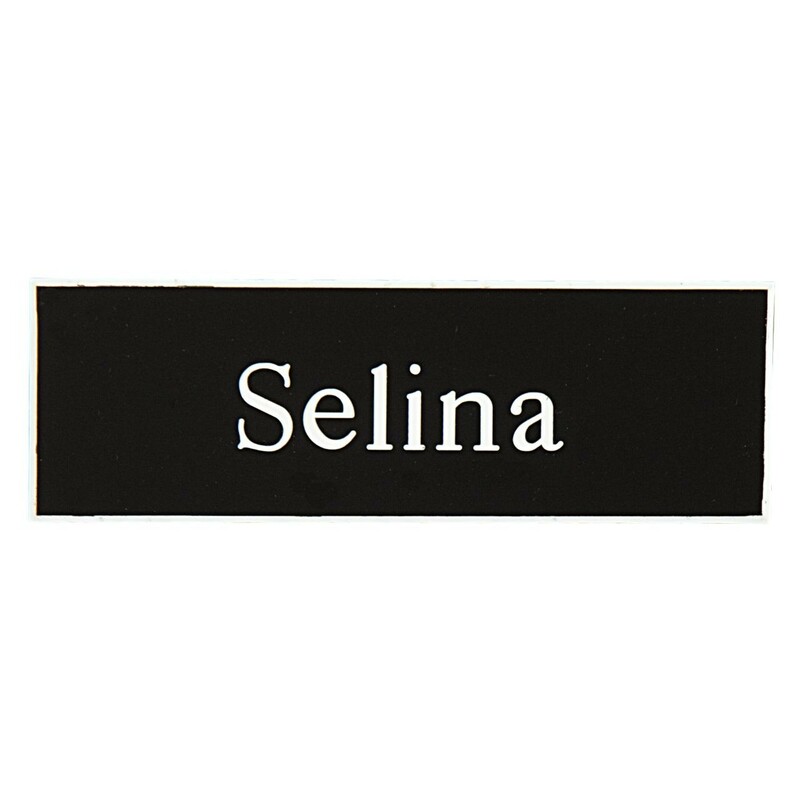 This badge lets you display your name exactly how you want! The Custom One Lined Plastic Badges allow you to choose your color and text, backing, and corner options. Approximate size is 1x3. Order these awesome personalized badges today! Perfect for the whole company or organization.